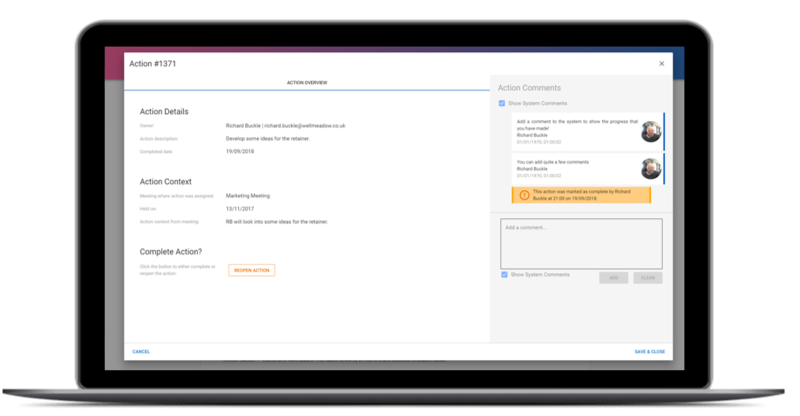 Follow our simple, step-by-step guide to completing and commenting on actions. 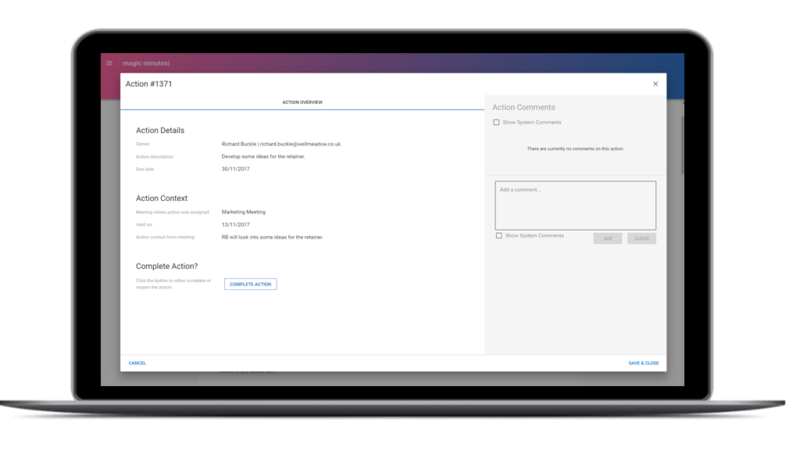 This guide will explain how to complete an action assigned to you, and how to comment on actions. Search for specific actions using the custom search bar, or use the pre-defined shortcuts to remind yourself of what you still need to do. 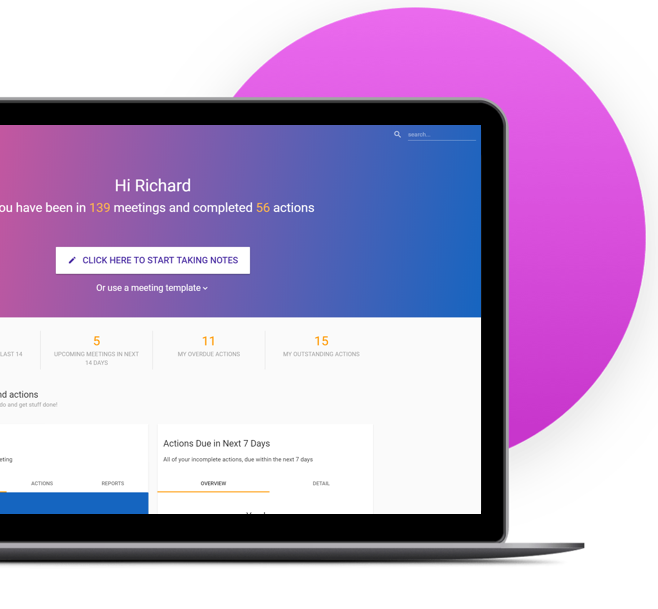 Magic Minutes automatically populates the minutes of a follow-up meeting with outstanding actions. It can therefore be helpful to add a comment to help explain progress or provide excuses! There are a number of ways to locate an action. Locate via the search, use the preset filters on the dashboard or go to the meeting where the action was assigned. When you click on an action you will see a pop-up window similar to the image on the left. You will be able to see the action details and the context of the action. 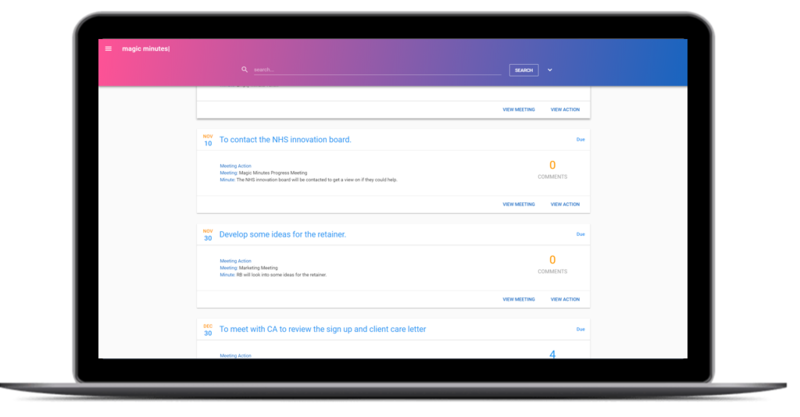 You also have the ability to add comments to the action which can be helpful for updating your team on progress. Anyone invited to the meeting can comment on the action by typing into the comment box. You can complete an action by clicking on the “Complete Action” button! Why not give the software a try? Sign up for our free version of Magic Minutes and see for yourself how useful it is. Magic Minutes Limited, Unit 2 Nexus, Roushill, Shrewsbury, SY1 1PT. © Copyright 2017, Magic Minutes Limited. All rights reserved. We have recently upgraded the Magic Minutes software to a new version. If you are still using version 1, you can log in by clicking here. If you’d like to see how the new version of Magic Minutes works, register for a free account by clicking on the links above.